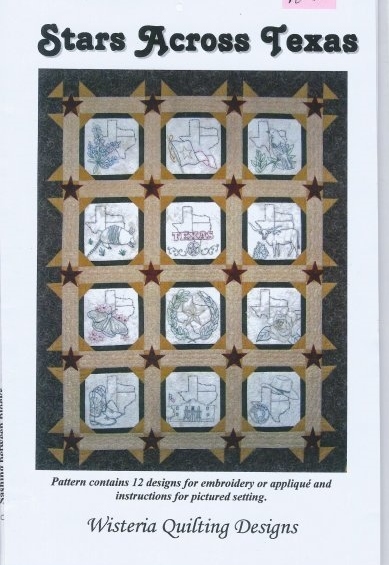 Here is a picture of the Pattern for Stars Across Texas. It was designed by Diana Pelton Wisteria Quilting Designs in 2005. Enjoy and have a great Sunday. You are welcome Sharon. It is a very relaxing and fun pattern. The pattern allows the Quilter to be able to change the design setting, or go with the original. I hope that you enjoy and I hope to get caught up on projects and Blog more. Thank you for reading my Blog.